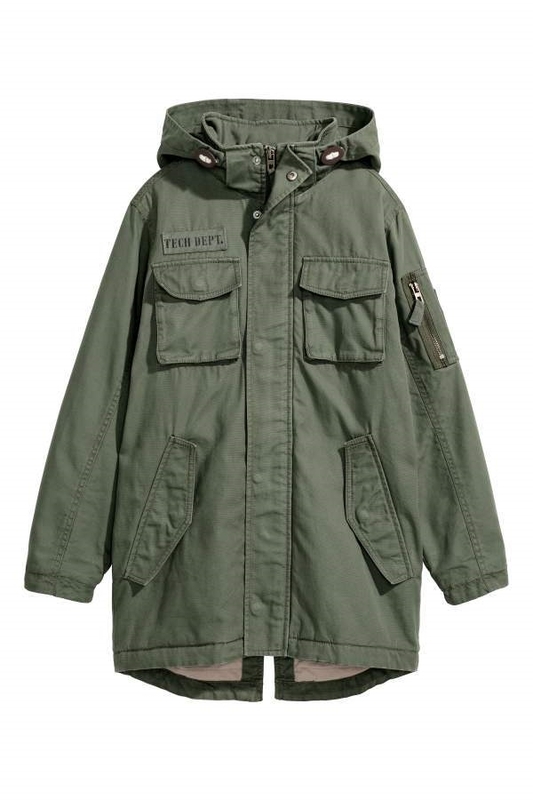 Lightly padded parka in cotton canvas with a detachable, unlined hood, stand-up collar, and zip and wind flap at front with snap fasteners. Chest and side pockets, all with flap and snap fastener. Sleeve pocket with zip, elasticized cuffs, and quilted lining.